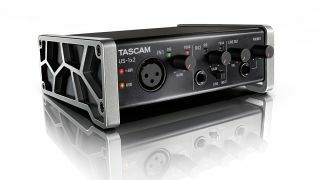 Tascam has introduced a new member to its US series, the 1x2 audio interface, which offers 24-bit, 96 kHz recording for both mobile and desktop situations, but comes in just a shade under 100 dollars. The US-1X2 includes an Ultra-HDDA mic preamp, featuring a -125 dBu EIN rating and 101 dB signal-to-noise ratio. 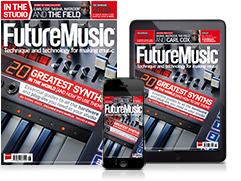 Input-wise, the unit comes with an XLR input, which can utilise the interface's switchable +48V phantom power. The 1/4-inch mono line/instrument input, which is switchable between front and rear ports, is joined by a stereo RCA input located on the rear of the unit. Outputs on the US-1X2 consist of a front mounted 1/4-inch phones port, with volume control and stereo line-level RCA outputs are located on the rear. Designed to be highly portable, the US-1X2 is USB bus-powered for Mac or Windows laptops and there’s also a secondary 5 VDC mini-USB power input is provided for iOS devices. However, you will need an Apple Camera Connection Kit. US-1X2 comes bundled with both Steinberg’s Cubase and Cubasis LE DAWs and is available now for a MAP/street price of $99. More information can be found on the Tascam website.